I make one good cup of Greek coffee. 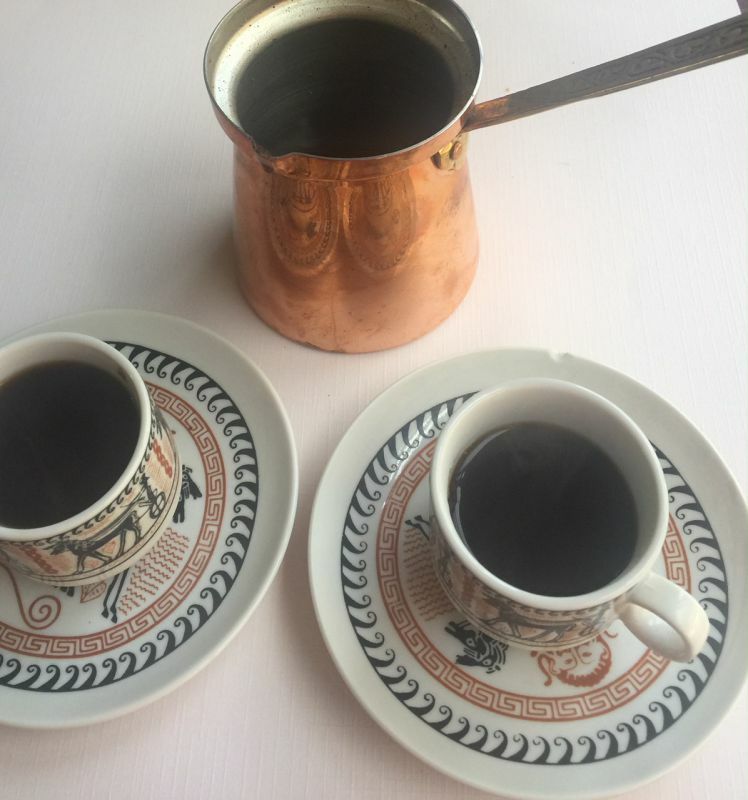 When it comes to Greek coffee there is no need for any fancy machines, at least not in a Greek home. All you need is our version of a coffee pot called a “briki”. One thing you may not know about me is that I worked at a popular kitchen store for years. After many years of working there, the one question most often asked was, “What is the best way to make a cup of coffee?” I never sold those fancy machines to anyone. I never thought they made good coffee. I always suggested a french press for American coffee, and that is what I use today. 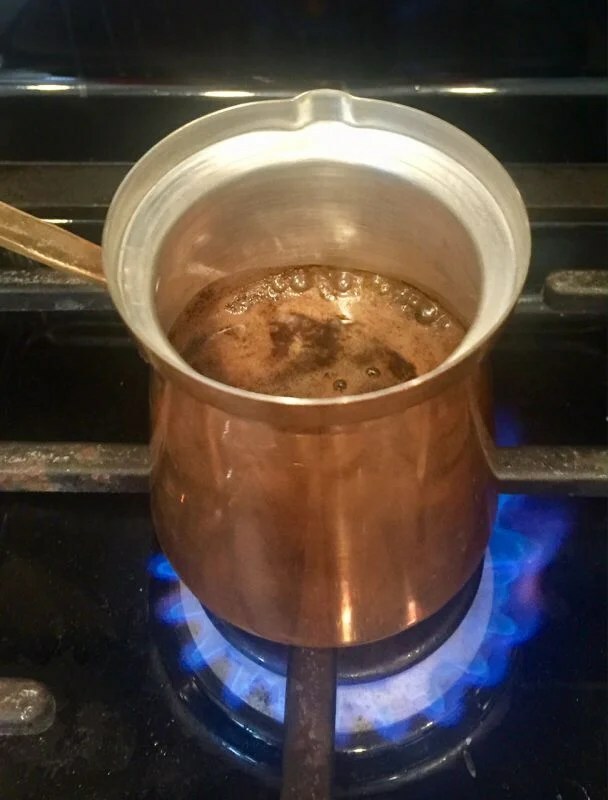 Watching my mother make coffee every morning the Greek way, I can now understand why it’s so important to use the right vessel. Growing up in the Greek community, it’s a form of hospitality to offer coffee to your guests served with a cookie or biscuit. Only three ingredients are needed water, sugar, and Greek coffee. 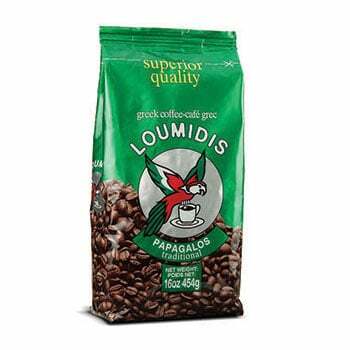 Greek coffee can be found in Middle Eastern or Greek markets. Online it’s available through many different brands, here is one example on Amazon. 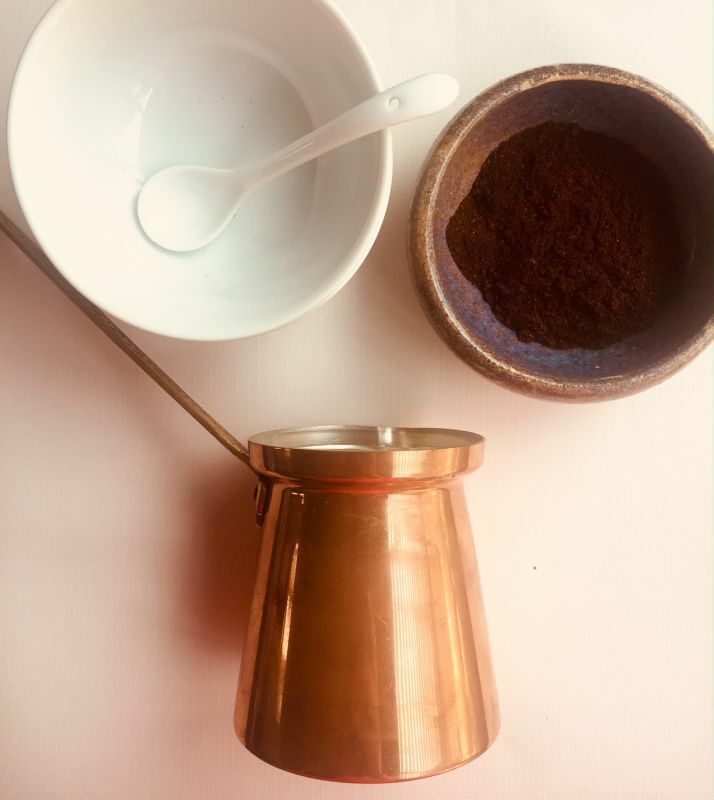 Greek Coffee is made by heating up water and adding the coffee grounds directly into a Greek coffeepot called a briki. You will see these pots in every Greek kitchen. They are made of bronze and usually will serve 4. This coffee is very strong and served to your guests in the afternoon with a pastry or after dinner with water. This drink is sipped slowly. Afterwards the coffee grounds are read if someone in the room has the talent to do so. The briki can be found at most Greek or Middle Eastern stores. You can change the amount of sugar to your liking or per your guests request. For the holidays I wanted my coffee to have more of a punch, so I decided to take the famous affogato from the Italians and make it Greek-Style. Affogato just means a shot of espresso over vanilla gelato or ice cream. Simply that. When flavoring a hot drink pour the flavoring in first, the add the brewed coffee. No stirring is required since the the syrup will dissolve. Drinks can be flavored with spices. such as nutmeg,cinnamon,clove allspice and cardamon. It’s not recommended to brew the spices with the coffee. Look for the froth and remove quickly from the stove top. Repeat two more times. This special coffee is a twist on the Italian dessert, in which you pour espresso on ice cream or gelato. I switched it up a little with a shot of Greek coffee made in a briki! In a tall and narrow sauce pan or briki, add the water and sugar and bring to a boil. Add the coffee and bring to a boil until the froth rises to the rim. Remove from the heat. Repeat two more times. While coffee is heating up bring out your cups and add 2-3 scoops of ice cream to each cup. Place into the refrigerator until ready to serve. Remove from the heat and add the spices and/or liquor. First pour the froth over the ice cream and divide the coffee among the four cups. Serve in coffee cups or dessert cups. Sprinkle with cocoa nibs or shaved chocolate. When using a liquor or flavored coffees, check the label for ingredients. Spices may be included. You may want to skip the spices. 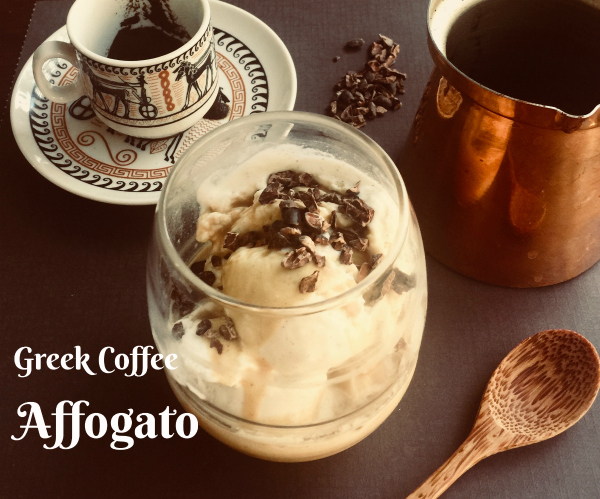 For the holidays I wanted my coffee to have more of a punch, so I decided to take the famous affogato from the Italians and make it Greek-Style. Affrogato just means a shot of espresso over vanilla gelato or ice cream. Simply that. 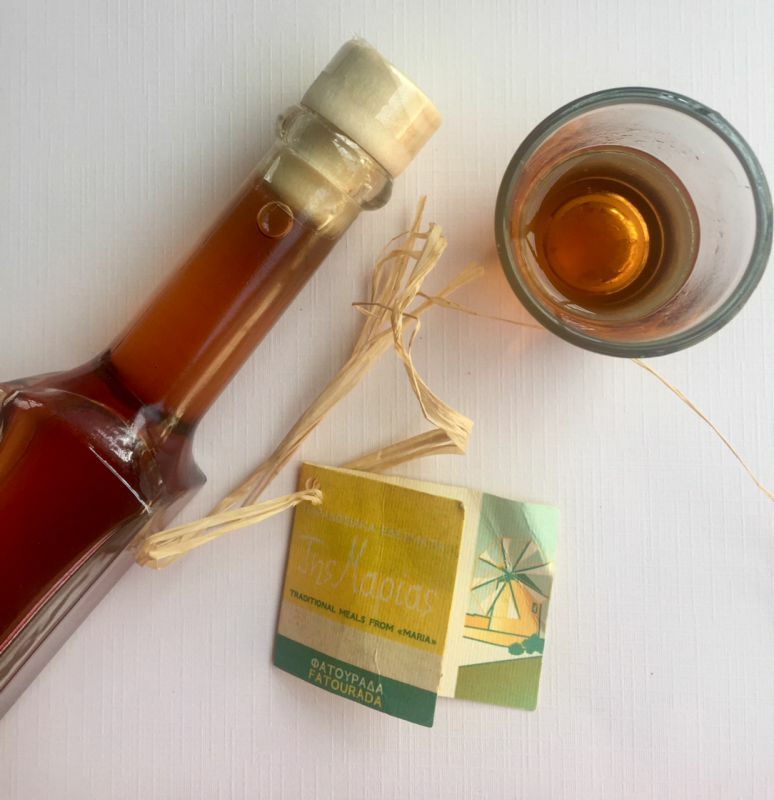 This is a traditional alcoholic sweet drink of Kythira, extract made from raki, cinnamon and clover. I picked up this liquor in this sweet shop called Maria’s on the island of Kythera. Any liquor of your choice will work. 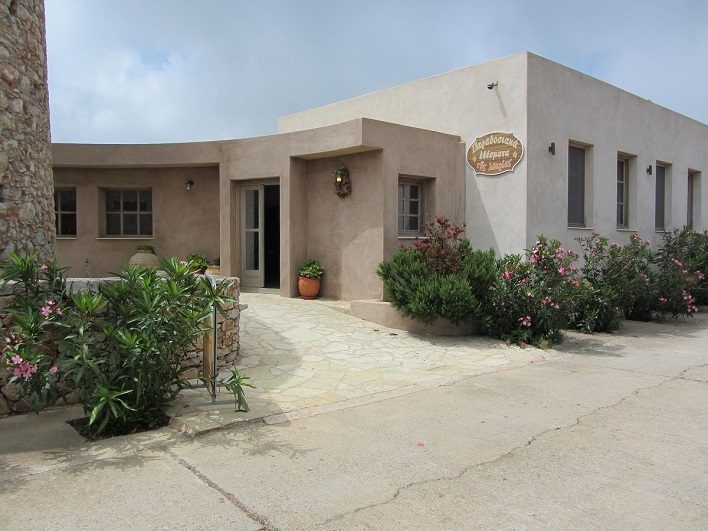 This was one of my favorite stops on the island of Kythira. This incredible bakery had everything I ever had wished for in a pastry shop. Here is where I bought jams, jellies, home baked cookies and local honey. In fact, I found my husband Mike in the back of the bakery enjoying melomakarona with Maria’s yiayia. Greek coffee is served in very small portions, basically for a quick “pick me up”. These are demitasse cups I received as a wedding present from Greece from my aunt. They hold enough for two or three small sips. That’s all you need! When ordering coffee in Greece or here in the states, you can request it by the following names. By the way, milk and cream is never served with Greek coffee. With foam it’s called “kaimaik”. Straight and bitter, called “Pikro”. Medium with 1/2 teaspoon sugar, “Glyko”. With heavy sugar, 2 teaspoons, “Variglyco”. 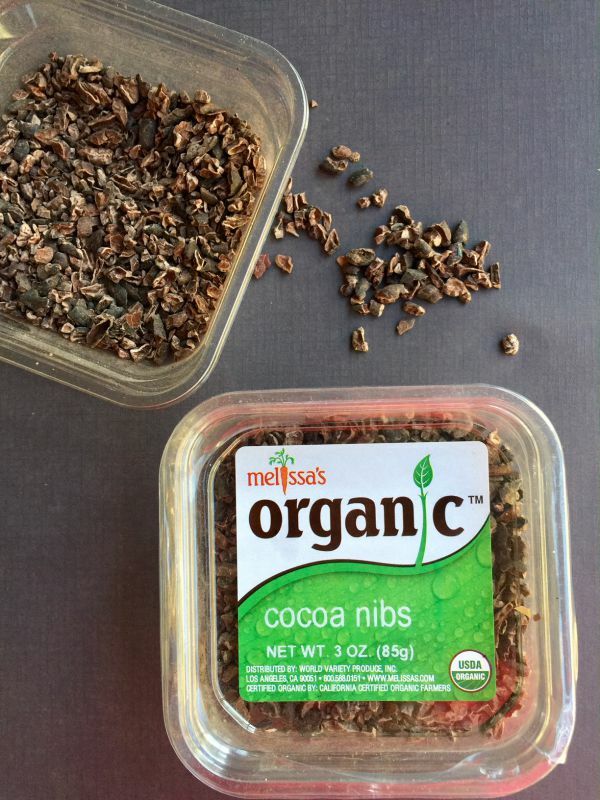 I topped my affogato with these delicious cocoa nibbs from Melissa’s Produce. You can also top your dessert with shaved chocolate, chopped nuts, or whipped cream.